Similar sized mice but very different feel in hand and in performance. 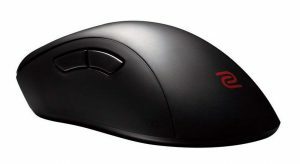 The FK1 is a narrow, lower profile ambidextrous mouse. 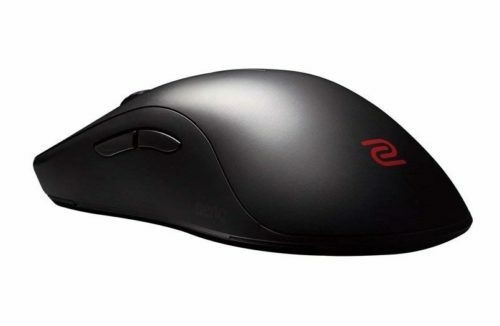 The EC1 is an ergonomic mouse with a more standard height meant for larger hands. The low profile of the FK1 make it more suited to gamers that specifically prefer shape. Shapewise its going to come down to personal preference because both shapes are very good. Buttons, cables, surface, and scroll wheel are all about the same between these two mouse models. The big advantage that the EC1 has over the FK1 is the sensor. The EC1 has a flawless PMW 3360 compared to the ADNS 3310. You'll find tracking to better in the EC1.